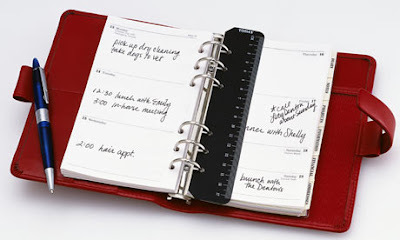 I barely ever document my personal occurrences in a diary. I fear that someone may get hold of it and the next thing that happens is seeing it used as evidence against me. So, this will have to be my first and only diary-about the other day (Friday 27th April 2012). Part 1: First things first, I intend to relocate pretty soon since my landlord and I are having irreconcilable differences. My shower is no longer working, no water... and the guy hasn't even reduced the rent. So I have to walk up and down with a bucket full of water to the third floor at dawn! Then I have to heat the water, take a shower I mean a bath and since the floor is uneven, I've got to wipe it! The smart guys (I had to mark those two...I don't intend to forget their faces anytime soon, and of course the vehicle KBB 995H) disappear for a couple of minutes only to send some other guy to refund us KSh. 10. Aren't these the same guys who put up stickers on matatu's that 'Hakuna stage ya 10 bob? Next strategy was to get vehicle number 2, which cost me KSh. 20. Since every coin in my wallet was perfectly budgeted for, that meant that I was already short of KSh. 10. Lucky for me, vehicle No.2 got me to town, next to my bank. Part 3: Being Friday 27th, I presumed that my boss could save my financial crisis. Most of the ATMs were not working and so I had to try my card on at least 3 machines. Finally I get a working one, but, my account balance is the same as it was the last time I cleaned it! Part 4: Stage No. 3 was short of vehicles, so had to wait and struggle my way in with loads of other passengers. Then this kid hits me with his luggage on my face (does he have an iota of idea how much time I dedicate on this face?) Funny enough, after I repair the face, he chooses to come sit next to me. He looked weird and suspicious and somewhere in between I started wondering what was in his bag (what if they were explosives? And why was he traveling alone?) I almost asked the makanga to request to check his bag but I later changed my mind and decided that if God wanted to save me from this hustle, why decline? @Martin, thanks...it truly was a day worth remembering. woiye...so sorry...am also glad u r relocating ...av been spreading the bad vybe. about ur current place...am even tempted to carry with me some food....those curves must be brought back...fat possible it is. @siz, the word reached me already, and I am so very mad at you. But you should check out the Part 2 of this...you will feel for me kabisa! ok..will wait for part two n ope it will be the last of the painful experience.